Do you roleplay? Are you looking for something to read between sessions? How about comic books from game creators? From Pathfinder 1e to original systems, there are comics on Kickstarter for tabletop gamers! Ends on Sun, November 4 2018 1:59 AM EST. “Erathune is a tale of Buxton, Niobe, and Skarlok in a war with their greatest foe, the Orc warlord Morka Moa! ESSESSA is our new KS release and Niobe’s immortal enemy! The 36 page series debut is the first issue with Niobe, Dusu, and Morka Moa on the same team! It is the follow up to ERATHUNE! Sneak peek below! NIOBE Pathfinder Official module – We are finally able to show sample pages created by the amazing team at Paizo, and Hyoung’s new cover! These books offer an engaging world, deep characters, and beautiful images combined with enough RPG to transform the title into, Niobe: She is Pathfinder! Ends on Wed, October 10 2018 11:41 PM EDT. 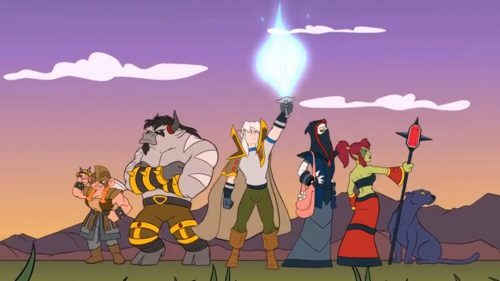 “Celebrating 10 years of the hit webcomic Looking For Group! 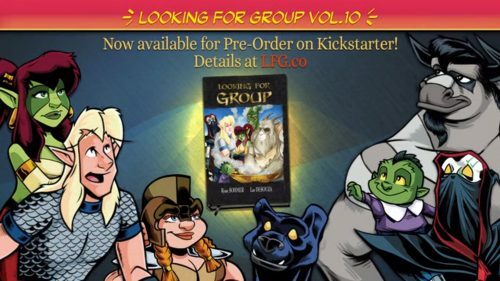 Pre-Order for Looking For Group Vol.10 and grab lots of other goodies! Watch the Kickstarter video, it’s animated and awesome! 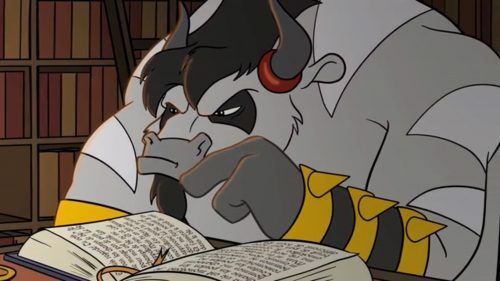 LFG falls into the realm of tabletop gaming, they’re at Gen Con consistently, and that animated Kickstarter video is awesome, so I’m eager to see this book come out! Fantasy humor and gaming, what’s not to love? And you can try before you buy because it’s online – LFG.co Give it a read and see if this is the group you’re looking for. Ends on Wed, October 10 2018 7:00 AM EDT. “A graphic novel about an African American girl who discovers her magical powers on an amazing journey to a hidden African kingdom. The idea for Amber and the Hidden City came from my readers. Whenever I did a book signing, parents would always ask what I had for younger readers. The answer was always, ‘I’m working on it.’ It wasn’t until my wife, a former third grade teacher turned ESOL teacher told me, ‘you should really write something for younger readers. The reality is that while many children of African descent enjoy books such as Harry Potter and Percy Jackson, they and their parents desire such books that display them as main characters as well. Which is why I wrote Amber and the Hidden City. Amber’s story is a delightful tale that also incorporated aspects of African Diaspora and African culture and the relationships between them. Since releasing the novel in 2011, it has become my best selling book. The purpose of the Amber and the Hidden City graphic novel Kickstarter is to raise funds to produce and print the graphic novel based on the popular middle grade novel and expose it to an audience that prefers illustrated adventures. We’re partnering with Peter Daniel and Pedastudio in Lagos, Nigeria to make sure Amber’s story reaches a wide and diverse audience. With out combined international network which includes the State of Black Science Fiction group (16,000+ members), we feel confident we can raise the funds to make this wonderful project a reality. Amber and the hidden city novel. Milton Davis and Balogun Ojetade, the creators of Ki Khanga: The RPG, along with artist, Peter Daniel, are transforming Milton’s YA book, Amber and the Hidden City, into a graphic novel. To be clear, Ki Khanga and Amber and the Hidden City are separate properties with Ki Khanga being an RPG and a prose anthology, while the other is a YA book (Milton Davis’ bestselling work) and, soon, a graphic novel. But, because Amber and the Hidden City is jumping medias, it feels right to promote it in the hopes it will lead to another jump, this time to be an all-ages RPG. Or, this project will inspire a Ki Khanga graphic novel. Either path is a win! Tagged Amber and The Hidden City Graphic Novel, Kickstarter, Looking For Group: The First 10 Years, MVMedia, NIOBE RETURNS IN ERATHUNE, Stranger Comics. « PRESS RELEASE – Origins 2019 Theme is Mythical!